Thanksgiving last year was unlike any Thanksgivings of past. The previous holiday (2014) passed me over after getting the news of my mom’s passing and her wishes to be buried 24 hours after her death which made a trip to attend the funeral impossible. So in 2015, I made an effort to visit her on her one-year death anniversary which is an important date in Filipino culture and marks the end of the mourning period. In August I booked two tickets roundtrip from L.A. to the Philippines for a five-day trip— an insanely quick trip because of our freelance work (we have no vacations) and other obligations (like our dog). Paul had just returned from the Reno Comic-Con and had only Monday to recover before we set off on the international trip on Tuesday. Our flight was at 11 AM and at dawn we set off in my car to LAX to avoid any pre-Thanksgiving rush. Lucky for us, things went smoothly; not a lot of people were leaving on international trips and we breezed past security onto the plane with no problem. 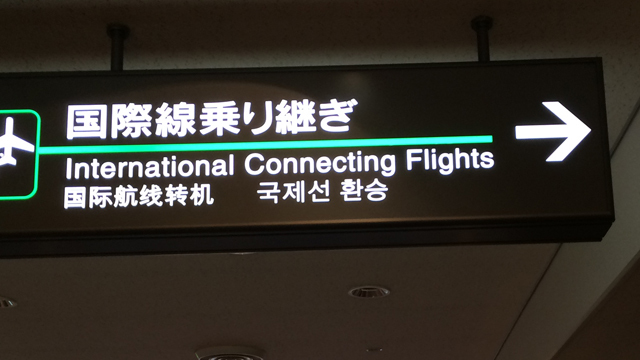 After 12 hours on the airplane, first stop was Narita Airport in Japan. I had purposefully planned a long layover and looked forward to the 16-hour Tokyo excursion before the big emotional reunion. We had very short list of things to do and we had planned not to sleep during our stay in the city so we wouldn’t miss our connecting flight the following morning at 9 to Manila. We packed light for the trip and once we landed we stowed away our belongings in an airport locker instead of lugging it around with us. Narita is about 44+ miles outside of Downtown area and we took the commuter (aka cheaper) train to the city to our first stop: Shinjuku. Our first order of business: food. It was raining and cold and there was no other thing I wanted more than ramen. 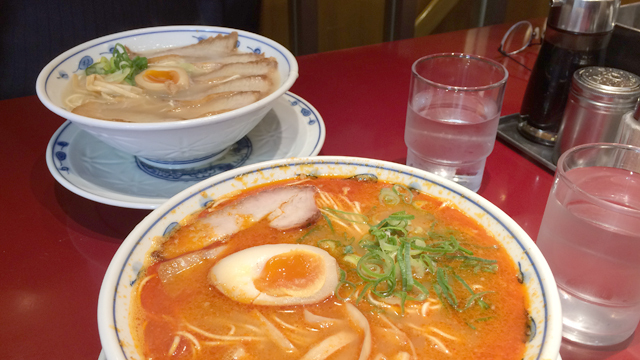 I hadn’t had it on my last trip to Tokyo and ramen was at the top of my list to eat. We finally chose on a nondescript place where Paul ordered a pork tonkotsu and I went with the spiciest thing on the menu to warm me up. We sat on the second floor of the restaurant (where Paul almost slipped down the stairs) and watched as the rain continued to pour. 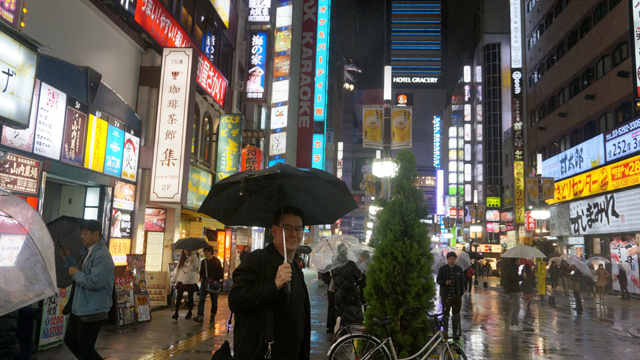 After filling up, we wandered around a bit in the rain with our tiny collapsible umbrella to look for the Hotel Gracery, also in Shinjuku. 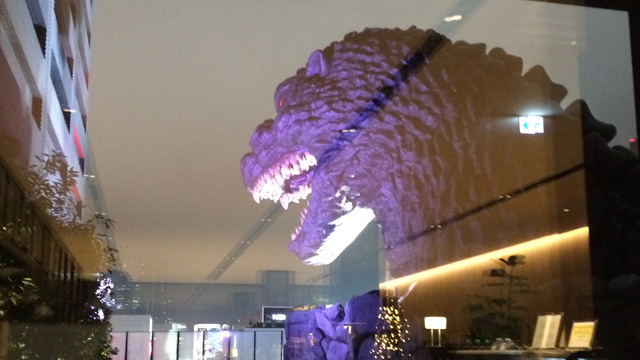 Tokyo is known for all kinds of crazy, memorable buildings but this one is set apart with Godzilla perched on top. Once you see the building, it’s easy to see spot and we took the elevator up to the 8th floor hoping to get up close and personal but found the patio was closed because of the rain. 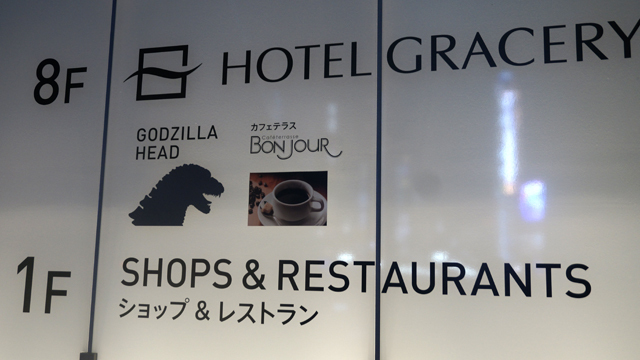 If we had extra time, you betcha I would’ve reserved a spot in their special Godzilla room. 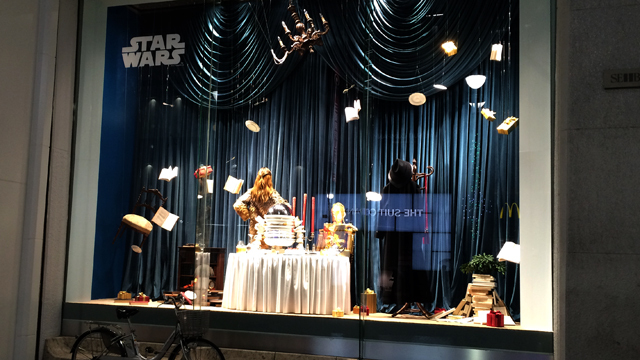 As we were wandering to our next stop, we spotted this special Star Wars display for a department store from the across the street. But look closer, you’ll see it’s not the familiar Star Wars characters. 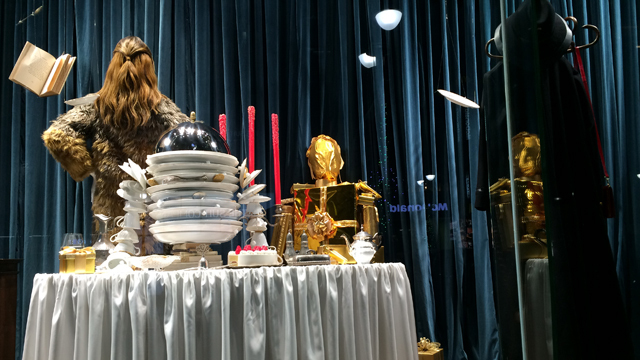 It’s actually a creative design trick using common items to create an illusion that you’re seeing Chewbacca, R2-D2, et al. Truly amazing. 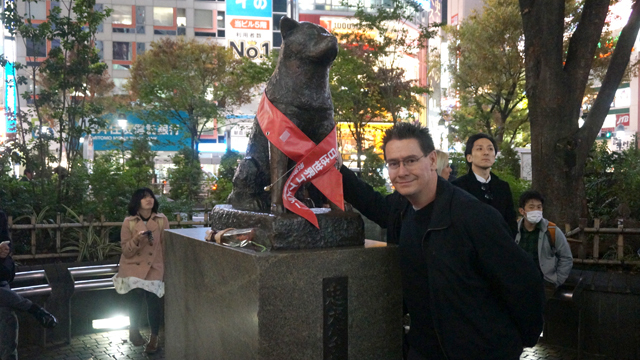 Also on our list was looking for Hachiko statue in Shibuya. People were lined up, even in the rain, to take a photo with Japan’s most devoted dog who waited every day to meet his owner from the train — even for many years after he passed away — until Hachiko died himself. 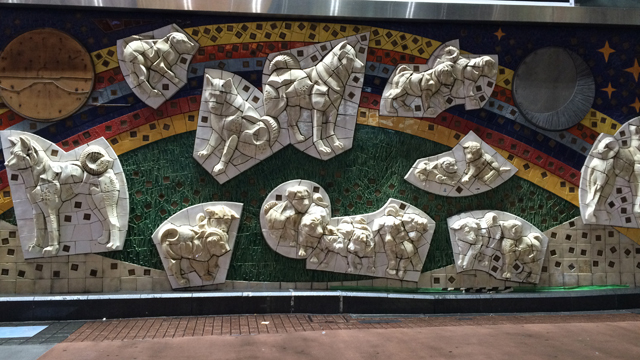 Weirdly enough, we had been at that very spot more than a decade earlier but didn’t know the statue existed. 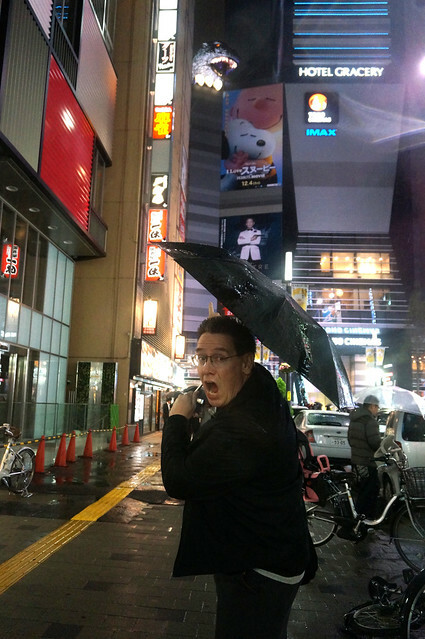 Paul and I had this plan to wander all night and it was soon approaching midnight so we made the decision to head back to the Narita before the trains shut down for the night. We made it — almost. We got as far as the train would take us and took a cab the rest way to the airport. 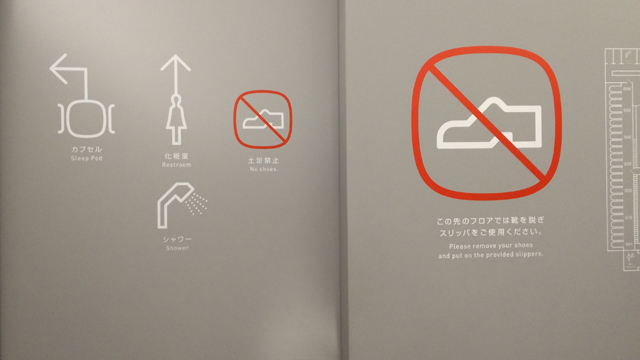 The airport was also closed for the evening so we couldn’t fetch our bags. With 9+ hours until our flight, we decided to stay at a capsule motel at the airport instead of huddled under an umbrella outside in the rain. Security escorted us to the front of the 9 Hours. The name stands for the maximum number of hours you can stay in the hotel. It was well past midnight by this point and we couldn’t just ask for 5 hours, we were charged the full 9 hours which was about $49 per a person instead of the $15 per an hour. 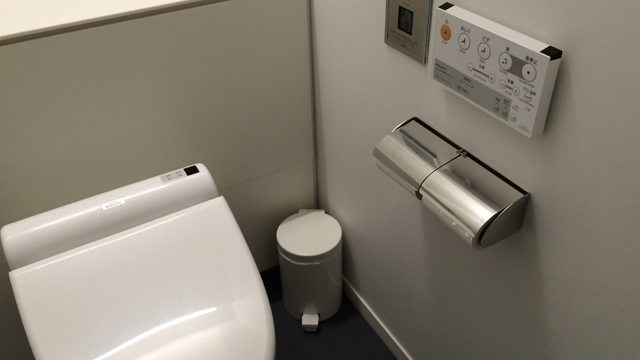 Once we paid, we given a small mesh bag of toiletries and shown the entrance for the men and another area for women. It’s around this time Paul starts to freak out. What if we miss the plane? How will I get in touch with you? We find there’s free Wifi and are able to communicate via text messaging. Whew. 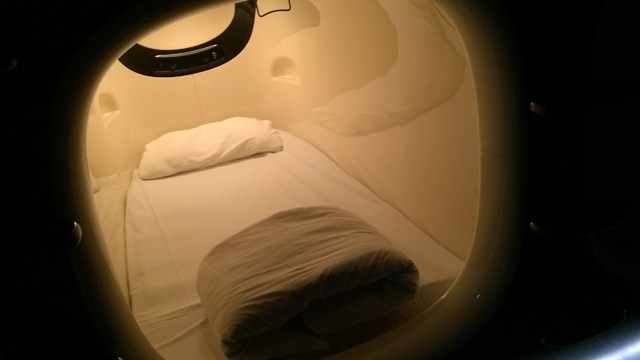 Back to the capsule motel. 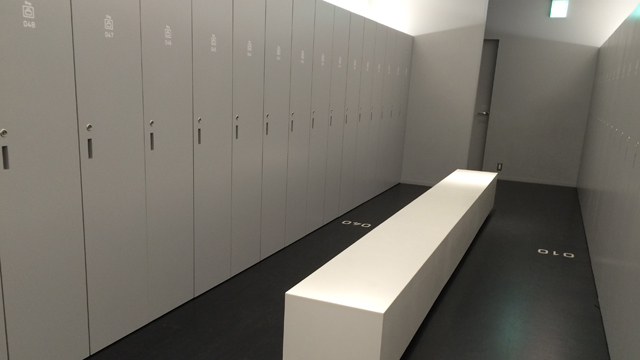 The first place I enter is a locker room to stow our stuff. 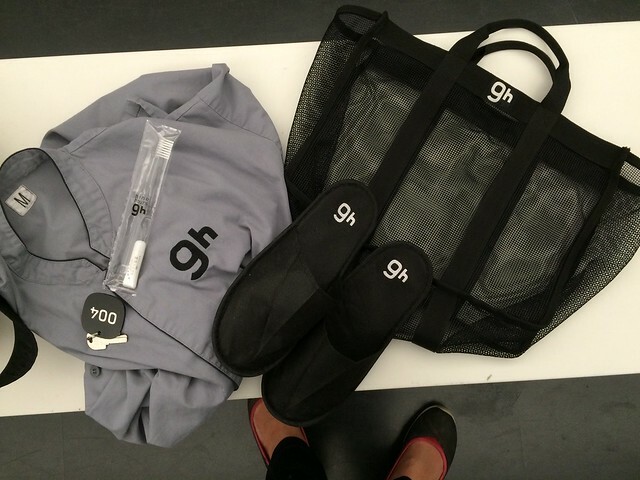 In the mesh bag is a button-up gown, slippers, toothbrush, mini toothpaste, washcloth and towel, plus a numbered key assigning a locker and sleep capsule. 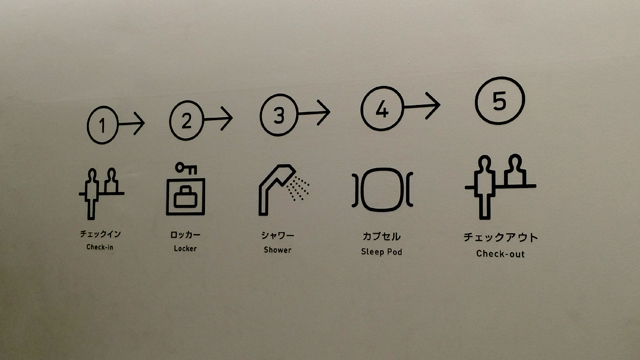 I hadn’t showered since San Diego but had energy to wash my face, brush my teeth and take off my contacts in a separate wash area and find my way to the capsule area. I was completely dark by the time I enter the sleeping area and I’m the only one crawling into bed. I fell off a step and tried to muffle my scream so as to not wake anyone sleeping. Somehow I made my way into the capsule leaving my slippers outside by like everyone else. 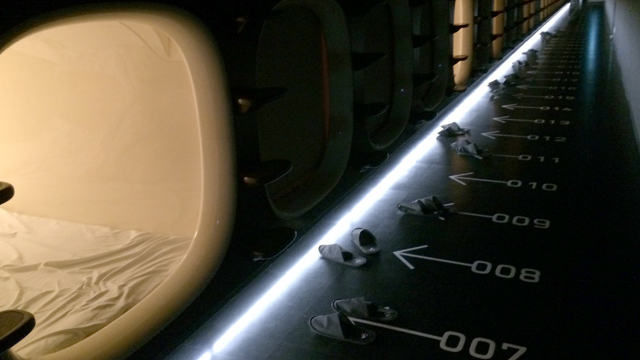 Each capsule included shades to draw down in the front for privacy, plus lights, a power outlet and some kind of white-noise machine imitating waves. The buckwheat pillow and the rest of the bed was pretty comfortable. By the time I get up, the ladies’ side is busy with women of all ages and nationalities getting ready. 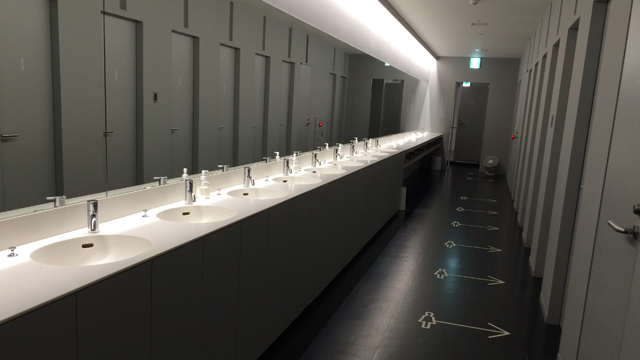 The wash up area also included toilets and shower stalls. 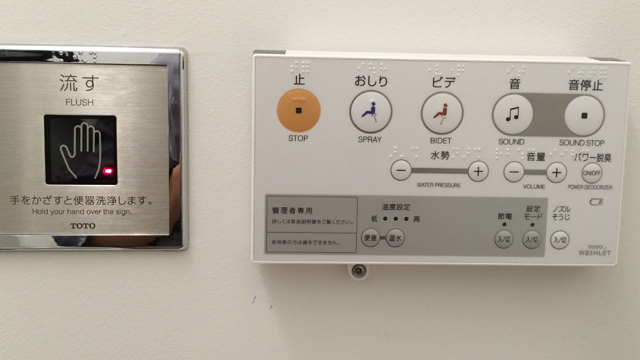 Like Japanese toilets throughout the country, these toilets are top-of-the-line and the showers aren’t too shabby either with shampoo, conditioner and body wash inside pump dispensers. The towels, gown and slippers were returned and tossed in a hamper. 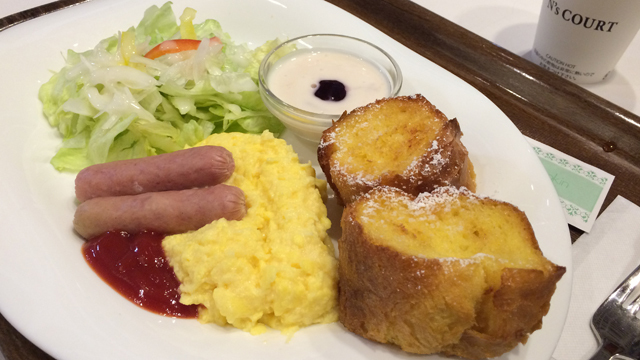 We gathered up our luggage, grabbed some breakfast of French toast, eggs and sausage and made our way to our connecting flight to Manila.